WEST LAFAYETTE, Ind. – Purdue University researchers have identified a new compound that in preliminary testing has shown itself to be as effective as antibiotics approved by the Food and Drug Administration to treat life-threatening infections while also appearing to be less susceptible to bacterial resistance. The compound, called F6, has been potent against antibiotic-resistant pathogens such as methicillin-resistant Staphylococcus aureus (MRSA), which is often found in hospitals and other health care settings, and vancomycin-resistant Staphylococcus aureus (VRSA), with vancomycin long considered a drug of last resort. The compound was tested against clinical isolates. "This is very exciting," said Herman Sintim, drug discovery professor in Purdue's Department of Chemistry. "We are not the first to report of a new molecular entity that killed these drug-resistant pathogens. But what is unique about the compound that we found is that when we tried to generate resistance in the lab, we couldn't." The results of the study were published Friday in the European Journal of Medicinal Chemistry.. Antibiotic resistance is a growing public health crisis. The World Health Organization has deemed antibiotic resistance one of the three greatest threats to human health because bacteria are becoming increasingly resistant and too few treatments are being developed. The Centers for Disease Control and Prevention reports that at least 2 million people a year in the United States become infected with bacteria resistant to antibiotics and at least 23,000 people die a year as a result. Studies have estimated that drug-resistant infections could be responsible for 10 million deaths a year worldwide by 2050. Pharmaceutical companies have been reluctant to invest in antibiotics because it typically costs millions of dollars to develop a drug and the probability of bacterial resistance is high. 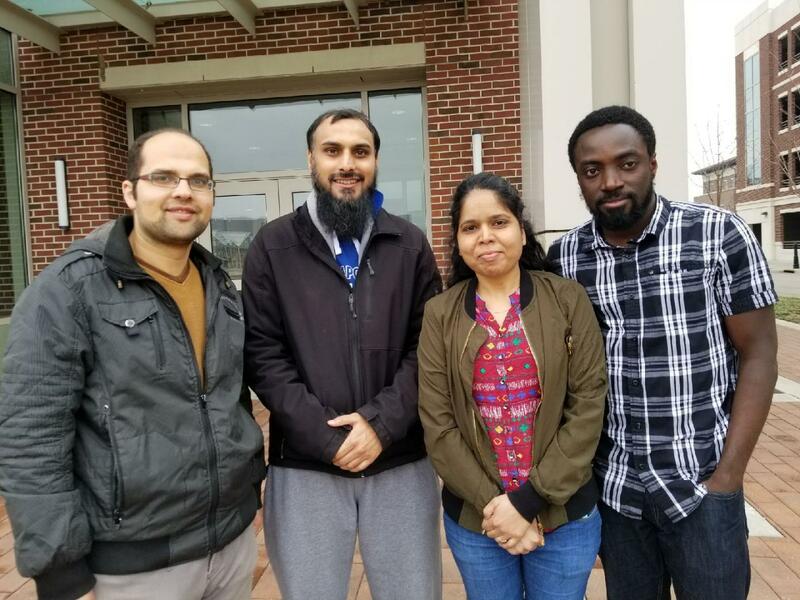 Purdue researchers identified F6 by screening a chemical library for compounds with antibacterial activity. They tried to force bacteria resistance on F6, performing experiments to evaluate the ability of MRSA USA400 to develop resistance to F6 in vitro. "The idea is that if you keep adding increasing concentrations to bacteria and then you keep regrowing the bacteria, after so many cycles you are going to develop resistance," Sintim said. "Scientists do this to figure out whether whatever they have created develops resistance quickly." The minimal inhibitory concentration, or MIC, remained unchanged for F6 over nine passages and doubled on the10th passage. It then remained unchanged up to the 14th passage during a two-week period. By comparison, the MIC of the antibiotic ciprofloxacin tripled after the eighth passage and continued to rapidly increase to more than 2,000-fold by the 14th passage. "We are not saying there will never be resistance to the F6 molecule or analogs thereof. What we are saying is that here is a new molecule that works and when we try to force resistance we couldn't generate resistance," Sintim said. F6, which is nontoxic to humans and other mammals, works against bacteria in a group known as Gram-positive, but not against those that are Gram-negative. F6 was effective against MRSA, VRSA, Enterococcus faecalis, which lives in the human gut, vancomycin-resistant Enterococcus (VRE) and Listeria monocytogenes, often associated with unpasteurized dairy products. Testing on mice also indicated F6 was as effective as fusidic acid in treating a wound infected with MRSA, further confirming its potent antibacterial effect. The Purdue researchers will now begin to make derivatives of F6 to see if they might be even more effective. They are working with the Purdue Office of Technology Commercialization to look for partners to help further develop this exciting new molecular entity. 1Chemistry Department, Institute for Drug Discovery, Purdue University, West Lafayette, IN 47907, USA. 2Graduate Program in Biochemistry, University of Maryland, College Park, MD 20742. 3Department of Comparative Pathobiology, Purdue University College of Veterinary Medicine, West Lafayette, N47907, USA. Various reports of multidrug-resistant bacteria that are immune to all available FDA-approved drugs demand the development of novel chemical scaffolds as antibiotics. From screening a chemical library, we identified compounds with antibacterial activity. The most potent compounds, F6-5 and F6 inhibited growth of various drug-resistant Gram-positive bacterial pathogens at concentrations ranging from 1 μg/mL to 2 μg/mL. Both compounds were active against clinical isolates of methicillin-resistant Staphylococcus aureus (MRSA), vancomycin-intermediate and vancomycin-resistant S. aureus (VISA and VRSA respectively) and vancomycin-resistant Enterococcus faecalis (VRE). Resistance generation experiments revealed that MRSA could develop resistance to the antibiotic ciprofloxacin but not to F6. Excitingly, F6 was found to be non-toxic against mammalian cells. In a mouse skin wound infection model, F6 was equipotent to the antibiotic fusidic acid in reducing MRSA burden.